Let’s face it, getting up every day and going to work isn’t always fun. No matter how great our jobs, we all have days when we’d rather stay in bed or spend the day lounging at the beach. Unfortunately, most of us also occasionally come home from work feeling defeated, enraged, or completely overwhelmed. Although these feelings are perfectly normal and usually subside after a day or two, they could be a sign of a deeper issue. If you truly can’t remember the last time you had a good day at work, it’s probably time to start exploring other options. While quitting your job may seem like more of a fantasy than a viable solution, staying in a situation that makes you miserable can lead to depression, poor work performance, and unhealthy behaviors. Here are 11 signs that it’s time to stop settling for the status quo and finally quit your job. Outgrowing your current job duties isn’t necessarily the end of the world. If you’re no longer feeling excited or challenged, let your superiors know you would like to take on additional responsibilities. Then take action to show you can handle it. If these requests continually fall on deaf ears, it may be a sign that you’re not in the right work situation. A long-term career should provide at least occasional opportunities for advancement. Formal education and certifications are nice, but at a minimum, you should pick up some sort of new skill at least every six months. If you’re stuck in a rut and truly feel there’s no opportunity for future growth, stop wasting your time and start looking for a job more suitable to your ambitions. Does your job make demands that don’t fit with your long-term goals or values? A toxic work environment, unhealthy work-life balance, or offensive office culture are all major red flags. Don’t ever let an employer push you into doing something that could hurt your long-term career prospects. If your company is partaking in unethical activities, run as fast as you can. This is especially true if they’re pressuring you to do the same. Even if you aren’t asked to participate, it’s probably best to get out. Once you’ve lost faith in the company that employs you, you won’t ever truly thrive there. If you’re putting in a genuine effort at work but are always made to feel like it’s not good enough, you’re probably in a dead-end job. Are you working extra hours, improving your skills, and volunteering for extra duties, only to be told that you need to do more? Working for a boss who doesn’t appreciate your efforts can eat away at your self-confidence and leave you questioning your self-worth. Do you have to think through every word you say for fear of ridicule or retaliation? A good job encourages a culture of collaboration and innovation. If your opinions aren’t respected and you can’t express yourself, you’re in the wrong place. When you’re always worried about money, it’s time to evaluate your job. While there are other important factors to consider when looking for a long-term career, if you simply can’t make ends meet, you’ll eventually need to make some changes. Assuming you’ve been with your employer for a while and your performance has been good, build a strong case for a raise and present it to your boss. Focus on your workload, skills, and loyalty to the company. If your employer isn’t willing to consider your request or tries to make you feel like you’re lucky to have a job, it’s time to start looking for a new one. There’s definitely truth to the idea that most people quit their bosses, not their jobs. There are plenty of jokes about bad bosses, but when you work for somebody who’s truly a monster, it can eat away at your soul. Does the thought of your boss make you cringe? Does he or she stir up feelings of animosity and loathing uncharacteristic for your personality? A horrible boss can create a horrible work environment. If you truly don’t think you can work it out, it’s time to start planning your escape. You know your job is particularly bad when the thought of going back on Monday makes you feel depressed half-way through the weekend. While it’s perfectly normal to want your time off to go on forever, the thought of going back to work shouldn’t bring feelings of doom and gloom. Constantly checking the clock and counting down the hours until you’re free again is a clear red flag. Stop spending every day “working for the weekend,” only to have the weekend ruined by the prospect of returning to work. Are you stuck in a 9-5 job while dying for the flexibility of working from home? Does your job require a formal dress code when you’re really more of a jeans and t-shirt kind of person? When the company culture simply doesn’t fit with your personality, it’s likely that you’ll always be unhappy, no matter how great the rest of your job is. In this situation, it’s always a good idea to explore whether there’s any flexibility that could make the job a better fit. If not, you’ll have to consider whether you’re comfortable living with the rules for the foreseeable future. If you find yourself saying things like “I can’t stand my co-workers, but the hours are decent,” or “my boss is a jerk, but the pay is good,” it’s time to take a step back and re-examine your situation. Remember that your job is something you’ll have to do day-in and day-out for years to come. Are you really going to be happy with “just ok”? While this might not be your cue to jump ship right away, start putting out feelers now so you can make a move when the time is right. If headhunters are reaching out to you, it’s definitely worth your time to hear what they have to say. You may find that your skills are worth much more than you thought. Even if you decide to stay at your current job, you’ll have a good feel for what else is available. This will give you some bargaining power and a dash of confidence when you decide to speak up and ask for more pay or better working conditions. If you’ve got a side job lined up or your skills offer you the opportunity to branch out into a freelance career, start exploring it. When you find a way to get paid for something you truly love doing, that’s where the magic happens. Figure out how to turn your awesome side-gig into a full-time career and use it as a catalyst to transition out of your current job. Is there always a nagging feeling in the back of your mind that you’re too good for what you’re doing? Don’t ignore it! Embrace your ambitions and look for more exciting opportunities. There are few things worse than spending a lifetime wondering what could have been, if only you weren’t so scared. If you’re finding yourself nodding along as you read this, it’s time to start exploring your options. Before you do anything, take a deep look inward and examine your feelings. If you’re not happy with where you’re at, there’s probably something better out there. Only you have the power to change your life, so embrace the fear, shoot for the stars, and make things happen. You’ve got this! Beth Deyo is a freelance writer and healthy-living enthusiast with a passion for helping others live their very best lives. 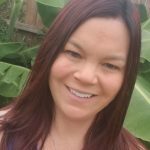 Her BlissQuest blog focuses on finding ways to seek out true happiness while calming the chaos of everyday life.